Spacious home with two car garage! 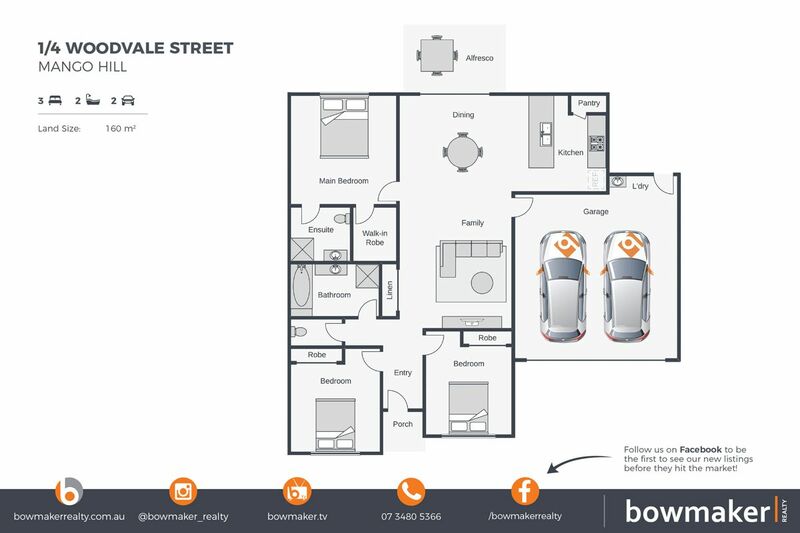 This 3 bedroom duplex is more like a house – It’s not often you can find a modern duplex with great size living area and double garage, but this is one of them. This quality built 3 bedroom duplex is located in Villa World Estate and opposite park lands. Being only a few minutes drive to all of North Lakes retail shopping experiences including Cinemas and restaurants this property certainly will not disappoint. Finished with the best inclusions the property will appeal to those looking for a stylish and low maintenance home with easy access to all amenities. :: Fantastic size open plan meals/family that leads out to the alfresco and secure yard. Please contact our office to arrange a inspection today.